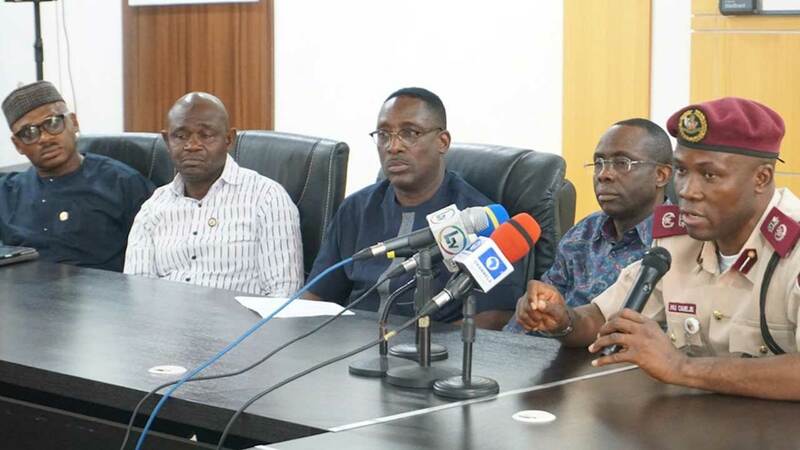 Following the apprehension that greeted the scheduled visit of President Muhammadu Buhari for the All Progressives Congress (APC) presidential rally today, the Lagos State Government, yesterday, assured residents that there would be no road closures, as earlier announced. Commissioner for Transportation, Ladi Lawanson, said the earlier statement announcing diversion and road closures had been reviewed, adding that residents were free to go about their businesses. In a related development, the newly appointed state Commissioner of Police, Muazu Zubairu, yesterday, said the Command had put in place adequate security measures to ensure a crisis-free presidential rally today. Zubairu warned those who may wish to take laws into their hands to stay away from the venue of the rally, saying anyone arrested would be decisively dealt with. Lawanson, who is also a member of the transport sub-committee for the visit and rally, said Lagosians should discountenance the earlier announcement by the committee concerning road closures, adding: “Lagosians have been apprehensive that there will be traffic gridlock and we got a lot of feedbacks that we intend to grind Lagos to a halt. “This is to state that there will be from zero to minimal adverse effect of the President’s visit tomorrow (today) to the normal movement that Lagosians undertake on a Saturday.“So, there will not be any road closures in Lagos and Lagosians are free to go about their normal businesses.” He said adequate arrangement had been firmed up to ensure free flow of traffic, but urged residents to expect tight security around the routes the President is expected to pass through in the course of his visit and the venue of the rally. Lawanson, who addressed the briefing alongside the General Manager of Lagos State Traffic Management Authority (LASTMA), Wale Musa, and the Lagos State Sector Commander of the Federal Road Safety Corps (FRSC), Hyginus Omeje, said there would be huge presence of officials of the Police, LASTMA, FRSC and other agencies to ensure free flow of traffic around the Surulere axis. “We consider it important to clarify this, so that we can communicate to Lagosians and give them the assurance that Lagos and especially Surulere would not be on lockdown,” he stated.Also speaking, Musa said LASTMA would deploy tow trucks to promptly evacuate any broken down vehicle and adequate personnel to tackle any gridlock that may arise from the visit and the activities around Surulere. Muazu, while addressing newsmen at the Command headquarters, promised to consolidate on the gains of his predecessor, explaining that he had held meetings with all the Area Commanders and their respective Divisional Police Officers (DPOs) to ensure adequate security before, during and after the rally.He warned hoodlums, especially political thugs, armed robbers and kidnappers not to dare the Police, saying the Command’s mandate is to maintain law and order. “We are going to consolidate on the security structure put in place by the outgoing Commissioner of Police. He is the only one that is posted out of Lagos; all his operatives are still on ground. I will work with them to win the war on crime and criminality. We have zero tolerance to corruption. “We are fully prepared for the President’s visit. There is no cause for alarm, everyone should go about their normal business, as we will live up to our mandate of protecting lives and property,” he said.